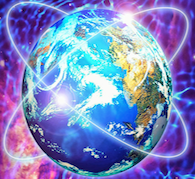 Cosmic Earth Alignment is a great gift sent to us from Spirit. Its main focus is to realign and reconnect our primary energetic lines (meridians and nadis) to the new Earth Cosmic Grid. This will help you to be more balanced in emotions, mind, energy and health. It gives you a deeper connection with Mother Earth and her realms, and helps you to be closer to your Divine-Path or Service on the Planet Earth. This system is a permanent realignment and reconnection, but if you feel the need to use again after a big evolutionary step or a great energetic system change such as Kundalini arising you may recall the energies again. Cosmic Earth Alignment works automatically to create better alignment and recalibration for your current energetic status.